With the ever changing landscape of Digital and especially SEO in 2015 more than ever it is critical for businesses to understand what will benefit and what will harm their organic search efforts for their business website. 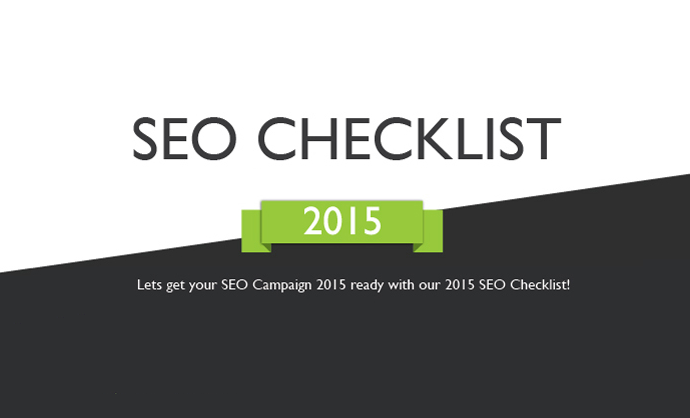 With this in mind IDF Marketing have created this 2015 SEO Checklist for business to ensure their SEO Strategies are 2015 ready! Good SEO practice can help good content on a website stand out from the crowd. Good content is better distributed when accompanied by good SEO practices. With Google and other search engines ever changing the rules of SEO requirements, it is imperative for companies to keep abreast of new and ever-changing industry norms. Changes in the past year alone to Google's search algorithms are included in this infographic such as Pigeon which now awards relevance to different geographical areas, locations and geo-tagging. This infographic will prove most useful therefore for the coming year and the good practice contained within it are best practice for the SEO industry as it stands today.